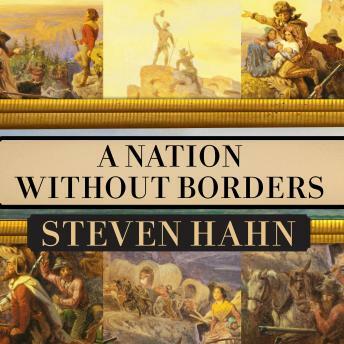 In this monumental story of American imperial conquest and capitalist development, Pulitzer Prize–winning historian Steven Hahn dismantles the conventional histories of the nineteenth century and offers a perspective that promises to be as enduring as it is controversial. It begins and ends in Mexico and, throughout, is internationalist in orientation. It challenges the political narrative of “sectionalism,” emphasizing the national footing of slavery and the struggle between the northeast and Mississippi Valley for continental supremacy. It places the Civil War in the context of many domestic rebellions against state authority, including those of Native Americans. It fully incorporates the trans-Mississippi west, suggesting the importance of the Pacific to the imperial vision of political leaders and of the west as a proving ground for later imperial projects overseas. It reconfigures the history of capitalism, insisting on the centrality of state formation and slave emancipation to its consolidation. It identifies a sweeping era of “reconstructions” in the late-nineteenth and early twentieth centuries that simultaneously laid the foundations for corporate liberalism and social democracy.